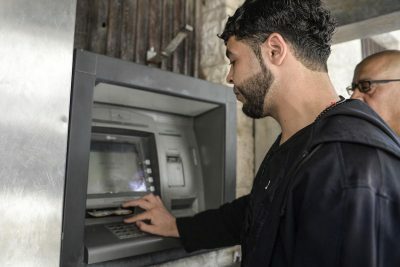 Israel is closing the bank accounts of Arab institutions in Jerusalem in an effort to displace Jerusalemites and force them out of the city, the Department of Jerusalem Affairs has said. In a press release, the organisation said the Israeli occupation’s moves against social, cultural, educational, relief, housing, legal or engineering institutions were political and go hand in hand with the Israeli policy of collective punishment against the defenseless Palestinian civilians in order to Judaise the city by force. Organisations had been told verbally seven months ago that their accounts could be closed however no paperwork was issued to confirm the action, the Director of the Yabous Cultural Centre, Rania Elias, told Quds Press. “The bank specified an amount of money for us to deposit in the account and of course we did that. The bank was to be informed in the case that any sum was added to clarify the source of the funds. And this is what we have actually done,” Elias explained. However, this was in vain as the Israeli bank rejected a bank transfer coming from the EU for no reason. The groups affected have maintained that their operations are legal, their operations comply with the missions and objectives they have set up for themselves when they were launched and registered, their taxes are paid and that they Israeli auditors to ensure their operations comply with the law.